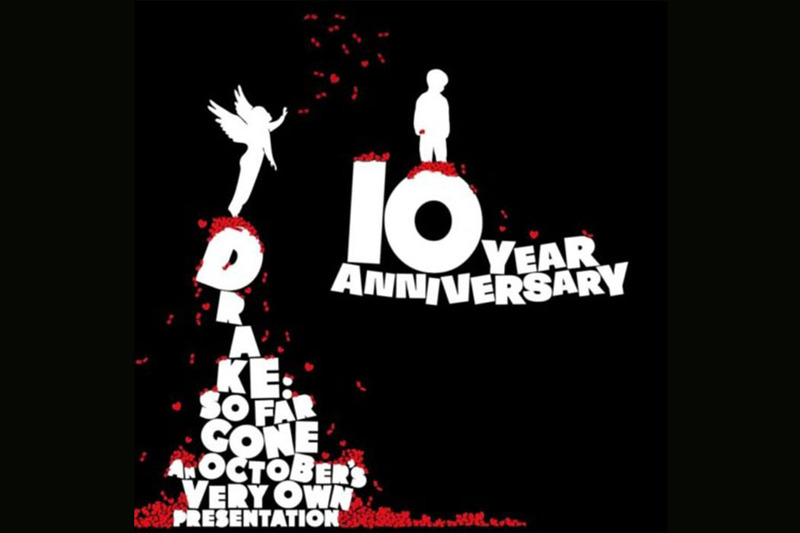 Drake surprised fans by re-releasing his mixtake "So Far Gone" from 10 years ago. Fans said they were surprised to hear Drake's original sound from 10 years ago. One decade after its original release, Aubrey Graham, famously known as Drake, surprised his fans with an anniversary stream of his 2009 hit mixtape “So Far Gone,” shocking many with his unfamiliar sound from 10 years ago. The mixtape first dropped Feb. 13, 2009 with the record label October’s Very Own (OVO) as one of Drake’s first independent projects. Coming off of an acting career and being most famously known for his time on the Nickelodeon show “Degrassi,” Drake introduced his rap skills to the world. The fashionably long mixtape quickly shot to top of the charts in 2009 with 17 songs and was a breakthrough for the beginning of Drake’s music career. With famous singles such as “Best I Ever Had” and “Successful,” Drake made a name for himself in the rap world. The album featured influential artists at the time, such as Lil Wayne, Trey Songz and Bun B, who added different dynamics to the overall project. Although less present in the music world today, these artists were vital in bringing attention to his first work. However, when the album first came out, fans were skeptical with the new voice in the industry. “It was a big move to have Lil Wayne on a mixtape in general, let alone some guy [Drake] I’ve never heard before,” Culinary essentials teacher William Ripley said. The re release of the album has made younger fans compare his old music to the current sounds they are used to today. Because of how personal the messages are, the feel of the mixtape is different than most rap and hip hop today. Drake’s lyrics addressed his struggles, romantic relationships and newfound fame, not resorting to drug use or degrading women which are more popular in today’s music. He conveyed his emotions through lyrical and blues-like beats. In the re released version, Drake added “Congratulations,” a song emphasizing how far he has come and thanking his fans for everything they’ve done for him. “I got the key to happiness and all the copies,” Drake sings at the end of his album. He has yet to announce any dates for his next project, but reassures his fans that he is working on an album to be highly anticipated.